I adore this series, it’s one of my favorites. 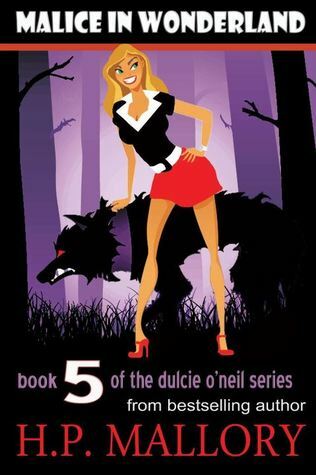 Usually I give Dulcie books a 4.5 or a 5, sadly this is not the case with this book. It is probably my least favorite of the series, but it is still a pretty solid book. This book is what I would call a transition book. It is getting us from one set of big events to the next set of big events. Now we are building to a pretty epic set of events, but not much really happened in this book. Most of the book was an internal struggle with Dulcie. We got a lot of Dulcie’s inner thoughts on several subjects, the main subject being Knight and working through her feelings for him and his betrayal. When Dulcie and Knight were together it was mostly Dulcie being mad at Knight and there was a lot of awkward silences while Dulcie thinks some more. At one point when Dulcie was at Brams she was thinking so much and in so many circles I almost got a headache. LOL! Even though it was a lot of thinking Dulcie is still her humorous self so you are at least entertained with her inner musings. For the Bram fans, we do get some Bram time in. Dulcie goes to stay with Bram once she is in danger, yet again. Dulcie finds out some interesting information about Bram and his history. Dulcie asks Bram to finally make a decision and he does. Probably the most exciting part of this book does happen at Brams, but doesn’t involve him Dulcie has this dream and woooweee, its pretty good! Overall, it was a good book. It wasn’t the most exciting of the series but it was still pretty enjoyable. If you read this series, since it is getting us from one place to the other you do need to read this book I am assuming to understand whatever is going to happen in the next book.